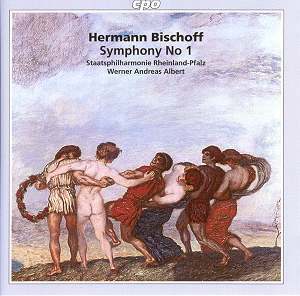 Hermann Bischoff was the son of a successful steel manufacturer in Leipzig, Germany, at a time when German music reigned supreme throughout Europe. The ghosts of Beethoven and Schumann were still haunting the landscape.� Wagner was topping the opera charts.� Even Mahler was just starting to climb out of the shadows cast by Brahms and Bruch, and the French, particularly Saint-Sa�ns, Chausson, Debussy and Chabrier, were just figuring out how to add more colors to the romantic palette of European music.� The composer, however, who benefited the most from this heady mix was the young Richard Strauss. What has Richard Strauss to do with Hermann Bischoff, you ask? Well, it turns out that when the young Bischoff � only four years Strauss�s junior � left Leipzig to continue his studies in music, he traveled to Munich in the 1880s and fell under the influence of Richard Strauss. He was drawn to the crowd who were consciously steering away from Wagner and the grand operatic gesture, with its noisy sturm und drang.� It was a group of young composers who were leaning more toward the expanded lyric and the extended melodic line . . . which is pretty much what we have in Bischoff�s First Symphony. This doesn�t mean, however, that it�s not fun to listen to.� It is that.� But in the end, this work�s chief appeal is going to be for those listeners who are following the evolution of 19th century German music.� Bischoff is still worth a listen.